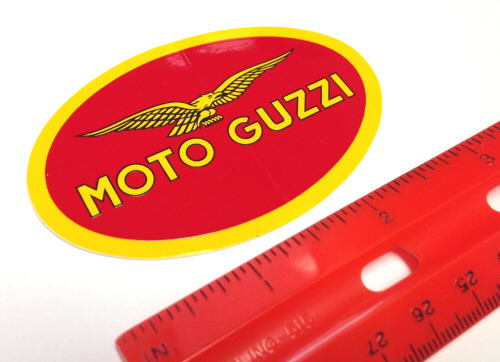 These Screen Printed Stickers are individually cut, with split paper backing, and are printed with UV inks. Sold as a 4 pack. 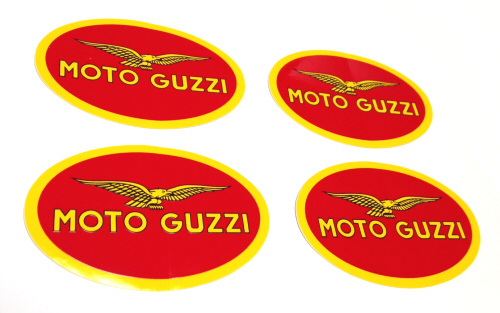 Moto Guzzi Logo 11oz Ceramic Coffee Mug Stylish flat black finish emblazoned with the yellow and red Moto Guzzi logo.